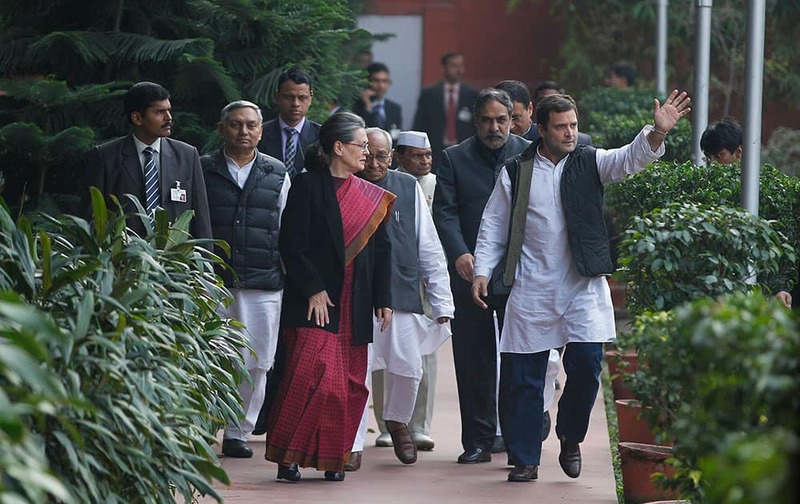 Congress Party president Sonia Gandhi, front center and her son and party Vice President Rahul Gandhi, right, arrive at party headquarters to brief the media after returning from court in connection with a corruption accusation in New Delhi. 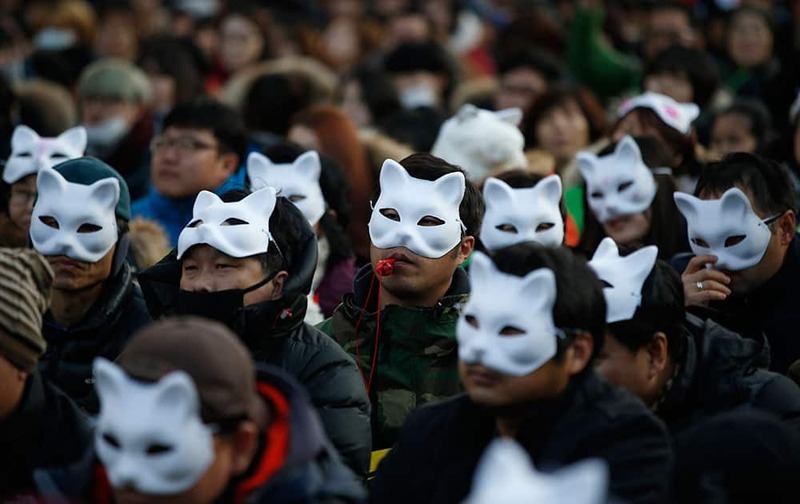 South Korean protesters wearing half masks attend an anti-government rally in downtown Seoul, South Korea. 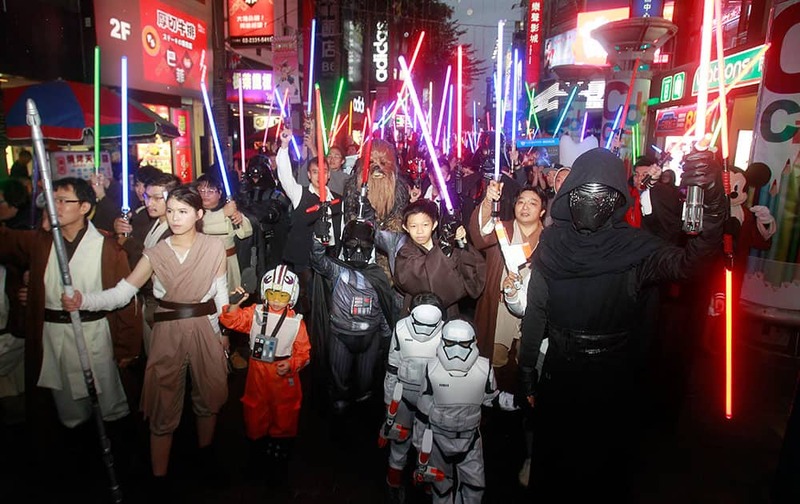 Fans dressed as Star Wars characters parade outside a movie theater showing 'Star Wars: The Force Awakens', in Taipei, Taiwan. 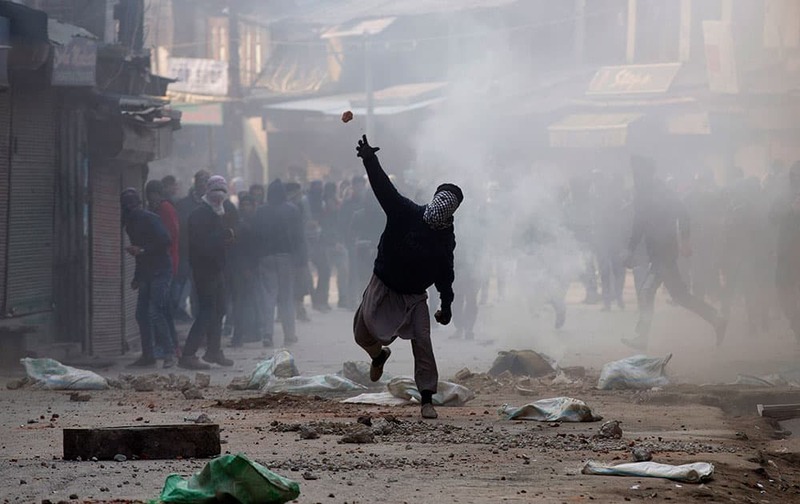 A Kashmiri Muslim protester throws stones at Indian security personnel in Srinagar. 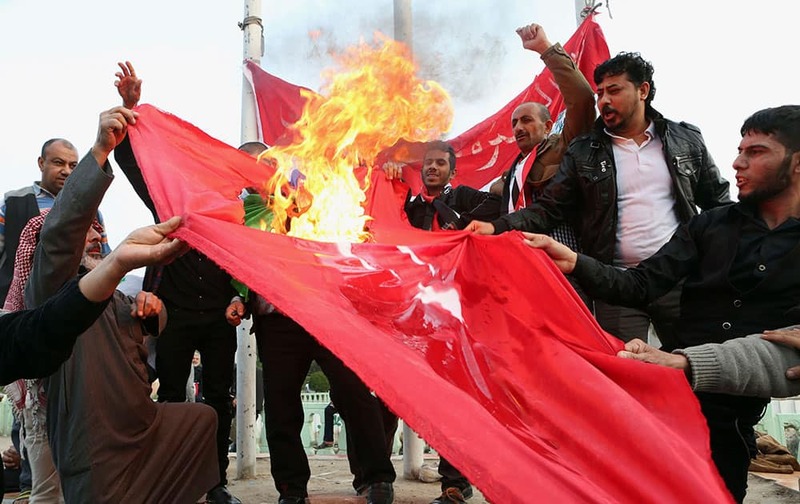 Protesters burn a Turkish flag during a demonstration calling for the withdrawal of Turkish troops from northern Iraq, in Basra. 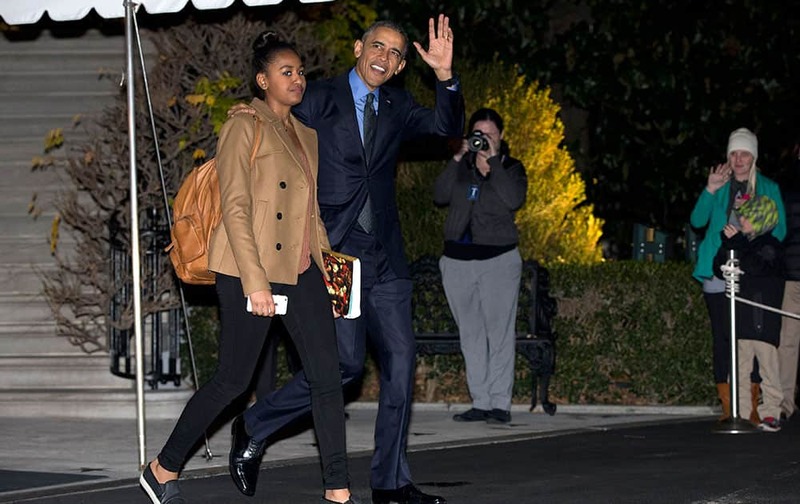 President Barack Obama waves as he and his daughter Sasha walk from the White House to board Marine One, in Washington, for the short trip to Andrews Air Force Base en route to San Bernardino, Calif. 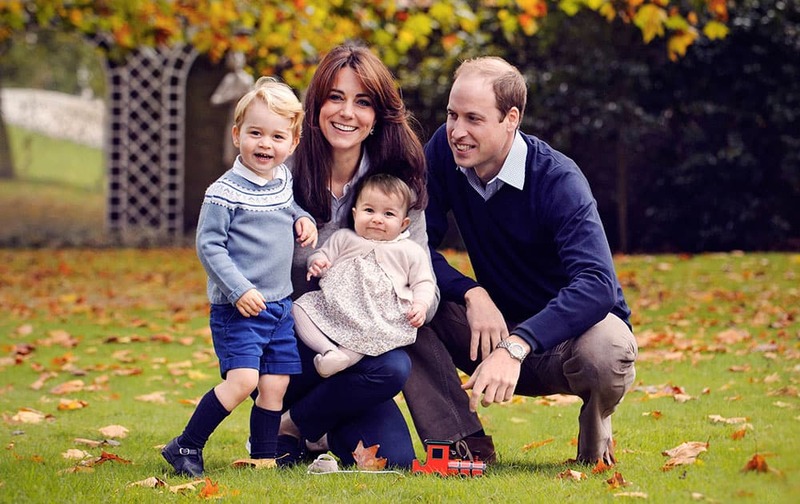 This photo released by Kensington Palace, shows The Duke and Duchess of Cambridge with their two children, Prince George and Princess Charlotte, in a photograph taken late October 2015 at Kensington Palace in London. 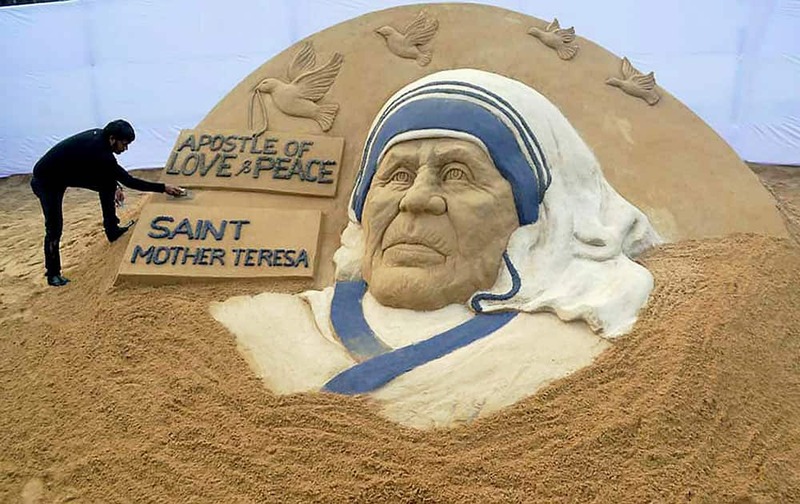 Sand Artist Sudarsan Pattnaik creates a sand sculpture of Mother Teresa with the message Apostle of Love & Peace Saint Teresa at Rourkela Steel City in Sundargarh district on Friday. Mother Teresa will be made a Saint of Roman Catholic Church the next year. 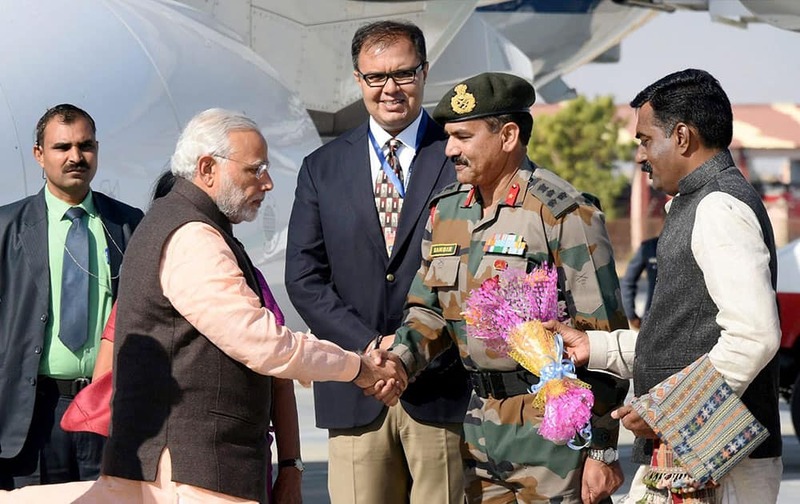 Prime Minister Narendra Modi arrives to attend the DGP conference in Bhuj, Gujarat. 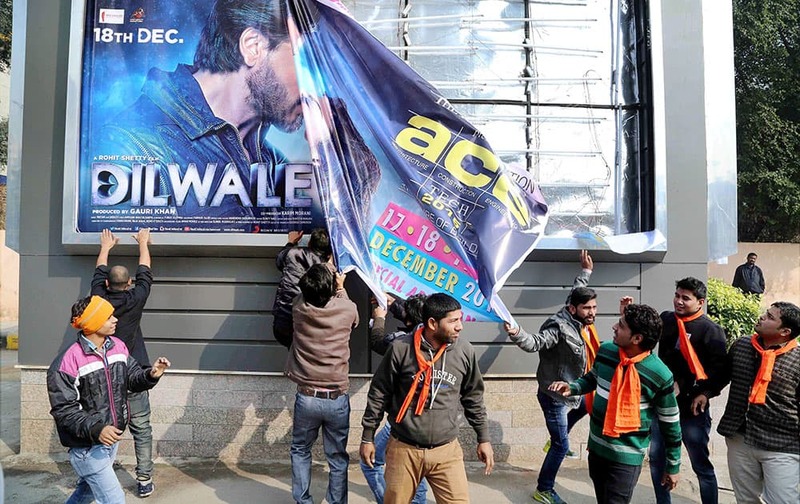 Hindu Sena activists tearing a poster of actor Shaharukh Khans film Dilwale during a protest against its screening. 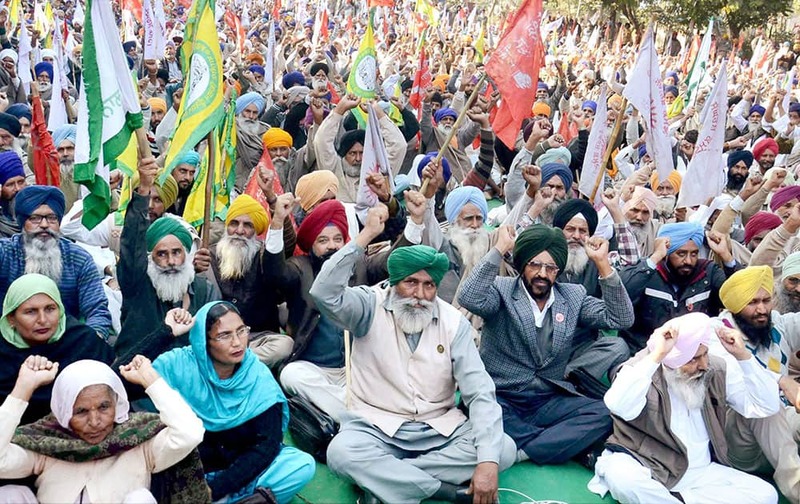 Farmers protesting against the alleged anti-farmer policies of the central and state governments in Amritsar. 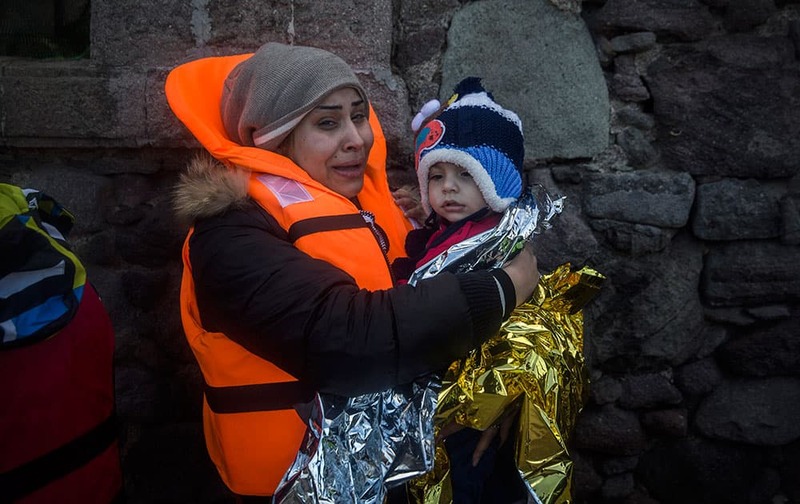 A woman holds a baby after their arrival with other refugees and migrants on a dinghy, from the Turkish coast to the Greek island of Lesbos.